Dyfri qualified from the Liverpool John Moores University in 1995 with a Degree in Sports Science. 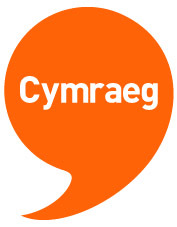 He went on to study Physiotherapy in the University of Wales College of Medicine from where he qualified in 1999. He worked as a rotational physio in Llandough Hospital for 2 years before taking a new job, sharing the jobs of Head of Physiotherapy for Bridgend RFC, then a Professional Rugby Club with a role working for an Orthopaedic knee surgeon (Mr John Fairclough). He subsequently returned to the NHS as a rotational musculoskeletal specialist in the Gwent Trust. In 2006 he became a Spinal Extended Scope Physiotherapy Practioner at Llandough Hospital where he continues to work 2 days a week with the Spinal Orthopaedic Consultants. He set up Penarth Physiotherapy Practice in 2006. 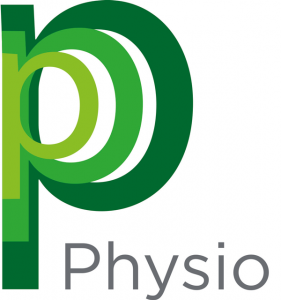 PPP Physio expanded to Cardiff at the International Athletics Stadium at Leckwith and also to the West Quay Medical Centre in Barry in 2011. Dyfri has been Head of Physio for Cardiff RFC since 2000 and he has been working for the Football Association of Wales since 2005. 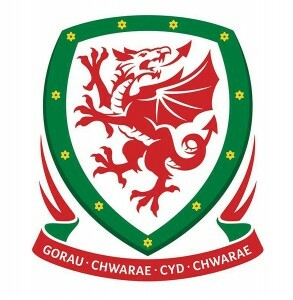 During this time he worked for John Toshack, Brian Flynn and Gary Speed. He has also worked for the Cardiff Blues and Wales and Great Britain Student Rugby League. He is extremely proud of the quality of his practices, the staff who work within them and the service that is provided at PPP Physio. I qualified from Bristol in 2004 and worked as an assistant Psychologist in forensic mental health before retraining as a Physiotherapist in 2008 working within Gloucester Royal Hospital NHS. I have extensive experience in elite sport having held positions as physiotherapist and Head of Medical Services within Newport Gwent Dragons, Ospreys Rugby, and Newport County respectively. I have National honours and worked as physiotherapist within the WRU age grade as well as the Wales Women’s senior team. I also have extensive experience working within Occupational health for companies such as GE, The Royal Mint and Warburton’s to name a few. I have a great interest in rehabilitation of shoulder and knee injuries as well as tendonopathy management. I have extensive post graduate qualification including Aqupuncture, Spinal Manipulation and mobilisation and am currently training to complete a Masters in Diagnostic Ultrasound. 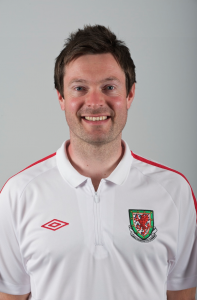 Chris qualified as a physiotherapist from Cardiff University in 2006. He then worked across Cardiff and Vale NHS neurological and rehabilitation sites before specialising in musculoskeletal physiotherapy. Chris also worked in North London both privately and with the NHS. 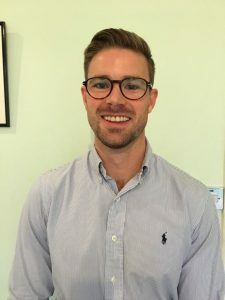 He was the team lead within a busy NHS department in Crouch End working alongside sports Doctors and conditioning coaches to help rehabilitate people with a wide variety of musculoskeletal injuries. Chris returned to Cardiff in 2017 and currently works as a Clinical Specialist Physiotherapist for Cardiff and Vale NHS. Chris is a qualified acupuncturist and also completed courses in Pilates through the Australian Physiotherapy and Pilates Institute. 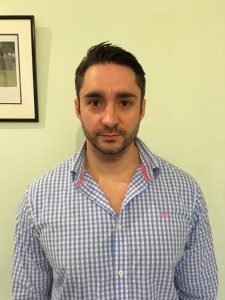 He has a particular interest in sporting shoulder injuries and rehabilitating lower limb injuries having completed a number of courses and workshops. He has a passion for treating and improving the quality of life of people with lower back pain, helping them return to full function. In his spare time Chris enjoys running and cycling, competing in 10km and half marathon distances. 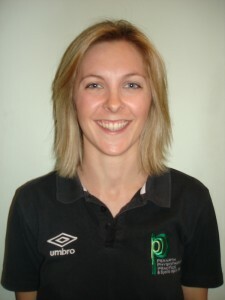 Anna qualified as a Physiotherapist from Cardiff University in 2006. She worked as a rotational physiotherapist in the Swansea NHS Trust for 5 years, developing experience in all areas of physiotherapy before specialising in musculoskeletal. She further developed her skills in New Zealand in 2011, working at a busy private practice in Mount Maunganui and treating a variety of injuries and athletes; from weekend warriors to professional surfers and elite rugby and netball players. She returned to the UK in 2013 to work for PPP. While having an interest in sports injuries, Anna enjoys treating a variety of conditions and takes pride in helping people back to their everyday activities. She has a diploma in Orthopaedic Medicine and a Pilates Matwork instructor qualification with the Australian Physiotherapy and Pilates Institute. Anna is also a qualified acupuncturist. In her spare time Anna enjoys getting outdoors and taking part in triathlon, having previously swum competitively at Southern County level. This helps to balance out her other hobby, of baking.